20 years ago, on June 25, 1991 the Union of European Basketball Leagues (ULEB) was officially founded during the celebration of the Eurobasket in Rome. At that time, the Leagues of Italy, France and Spain formed the core of what two decades later is the current ULEB, the association that brings together 16 of the major professional Leagues in Europe. Together with the late Gian Luigi Porelli, who was the first ULEB President, and Jean Bayle Lespitau, we decided to take a road that time proved successful. In the early 90's basketball was evolving quickly, and as a lobby of opinion, the ULEB wanted to be the body that brought together the voices of the Leagues, helping in their coordination and development, and acting as an interlocutor before the International Basketball Federation ( FIBA ) through its expertise. The way has not been easy these two decades. Over the years there have been times and difficult decisions, but the support of the League has always reaffirmed us in our purpose. 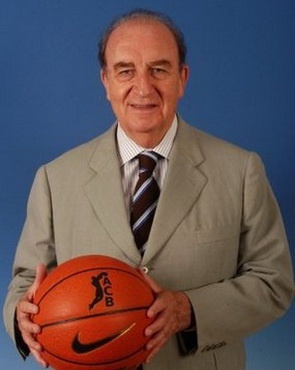 It´s appropriate to recall some highlights in ULEB´s history, as the organization of the first joint All Star with the Italian and Spanish Leagues, held in Madrid in November 1992, an event that the French League joined two years later, or the cooperation to create the Euroleague in year 2000. At that time, passing the management of the European clubs competition to the Leagues showed that European basketball is a leading innovator and has never feared the future. In this way also came the birth of the ULEB Cup ( the current Eurocup ) in 2002. Now, the ULEB turns 20 and keeps working with the intention that the opinions of the Leagues are heard and respected, as the Leagues comprise the clubs and they are who know them better. Only through the strengthening of national Leagues in Europe, strength of clubs will be achieved within a framework of dialogue and respect with other institutions that, at continental level, are also active players in the management of men's basketball clubs. As President of the ULEB, I want to thank all those people and organizations who have been a party or witness to the work of the ULEB in these 20 years, and I want also thank institutions that have worked with us, since we all have sought and will continue to pursue the development and the good of basketball in Europe. Russian Basketball Federation has approved BEKO PBL’s proposal to postpone the final date of the upcoming championships to the 22 of May, leaving space in calendar for play-offs. Also the schedule of the tournament has been approved and therefore the opening game between BC Nizhny Novgorod and CSKA will take place on Thursday, October 6th. In early September the League welcomed Euroleague brand manager Alex Ferrer and took a listen of independent marketing professionals. Next season's games will be broadcasted at PBL TV.